SIMPLIFY If you’re like a lot of small businesspeople, your profit-and-loss statement is long and detailed and not particularly informative. “I can’t tell you how many profit-and-loss statements I’ve seen that have about a million different expenses listed in alphabetical order — in dollar amount only. What’s that tell you?” says Laurie Owen, a business coach at Business Resource Services, and an Instore columnist. Owen recommends giving your P&L a spring makeover. Consolidate expenses and group them into like categories, such as salaries and benefits, marketing expenses, admin, etc. Then, next to the dollar amount, list the expense amount as a percentage of sales. You now have what is known as a “common-sized statement,” Owen says. It helps you see when an expense is increasing as a percentage, and not just going up because your sales are increasing. E-SIGN IT OK, folks, this really ought to be a no-brainer, but we get enough e-mails from jewelers (and you know who you are) that have no e-mail “signature.” This is simply a few lines of text (preferable to a photo or HTML) at the bottom of every e-mail you send that give your name, your store’s name, its location, phone number and perhaps your store’s slogan. We spend the time and effort tracking down your store and location because it’s our job. Do you want to make it that much work for your customers, too? SEIZE THE MOMENTS Squint for the silver lining around the cloud of recession, and you might see more time on your employees’ hands for training and professional development. “Often when times are tough, that’s precisely when there is enough breathing room in the daily work flow to give your people the chance to better themselves,” says BV Krishnamurthy in Harvard Business Review. If nothing else, he says, seeing this downturn as an opportunity can reduce the mental anguish. BLOG ON In the world of search — meaning driving traffic to your website — bloggers are king because of the weighting Google gives to frequently visited links. 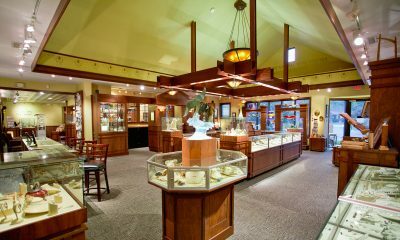 For Goldsmith Jewelry in Orlando, FL, that made blogs an ideal recruit to assist its Valentine’s Day promotion. 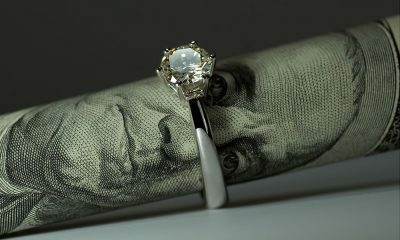 The jeweler offered any bloggers who wrote anything about Goldsmith the chance to win a pair of $1,500 diamond earrings. “The only requirements were that the blogger write about Goldsmith Jewelry and that they mention the contest,” says Don Lair, the store’s VP of e-commerce. “It could be positive or negative, and would still be a valid entry.” Lair contacted close to 1,000 bloggers by e-mail and received 75 entries directly. Another 2,000 unique visitors were referred directly to the site by the postings on the blogs that entered the contest. The best pay-off though was how it boosted traffic to the store’s website — up 400 percent. RENEW EARLY AND OFTEN Renew your subscription to Instore if it’s due to expire sometime soon. Instore, the best source of free advice out there. But don’t tell your personal trainer we said that.